This was project awarded to BHG under an 8A contract. The repair and renovation of facilities to include a Training Center, Garage, Vehicle Maintenance Facility and infrastructure. Work included roof replacement, masonry restoration, interior finishes and repairs, floor tile, ceiling tile, electrical upgrades and HVAC upgrades. 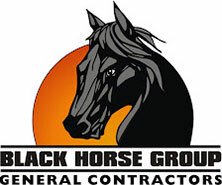 Regarding Project Quality: "The Contractor maintained steady attention on the quality of work... The Government considers the quality of work to be VERY GOOD." "In all respects, the Contractor's staff remained highly responsive and respectful to the Government's Resident Engineering Office. The Contractor's management is considered to be VERY GOOD." .... USACE Project Engineer.